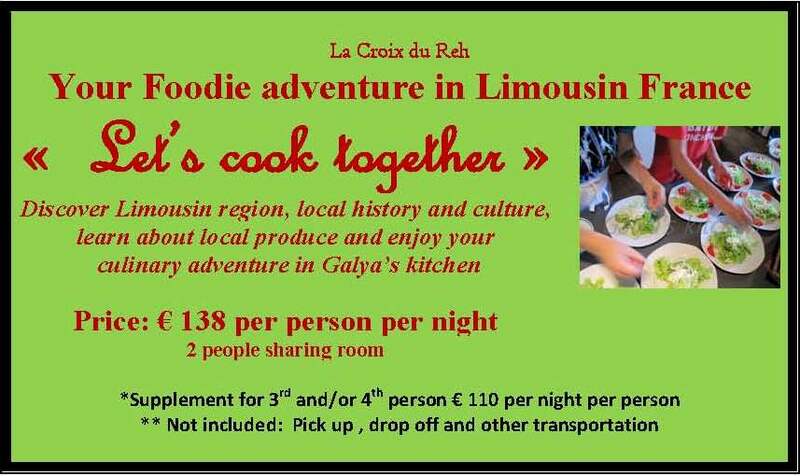 Travel with us to our “foodie” destinations in Limousin, the still little known region of France. While creating our itineraries we will try to make everything as easy as possible for you. This is a ” flexible” formula, which does not include the transportation , pick up and drop off. The car-hire is essential, as we will be travelling every day. 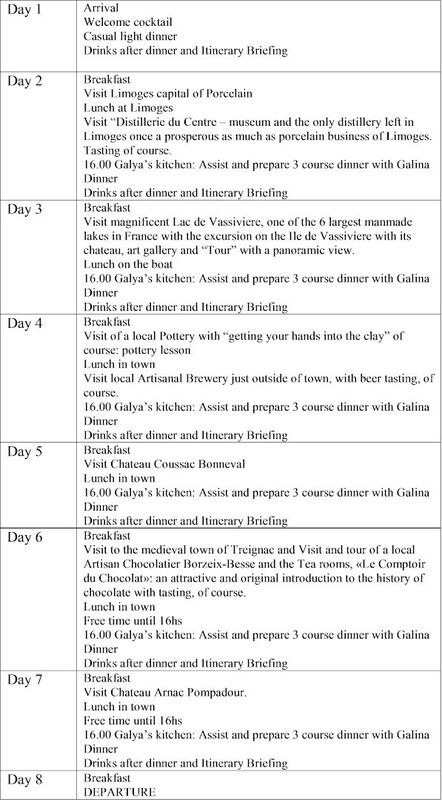 Customised itineraries are on the menu 🙂 Here is just a glance on what you can do, if you like a real Foodie adventure in rural France.